Today is Pi Day. An official day to celebrate pi. And pie. And heck, it's March. March needs a good holiday. One full of sugar and friends and baking. This week I'll be posting the recipies from our own celebration and linking them up here. But what I really want to see is what YOU made. 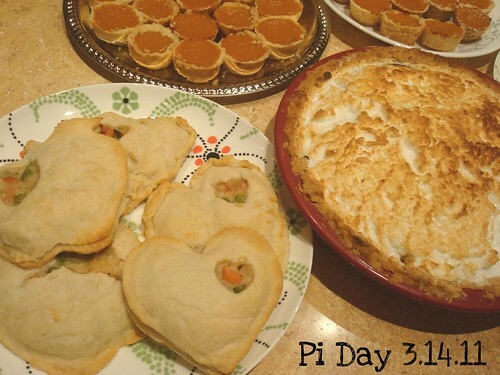 How did you celebrate Pi Day? What is your most awesome pie? 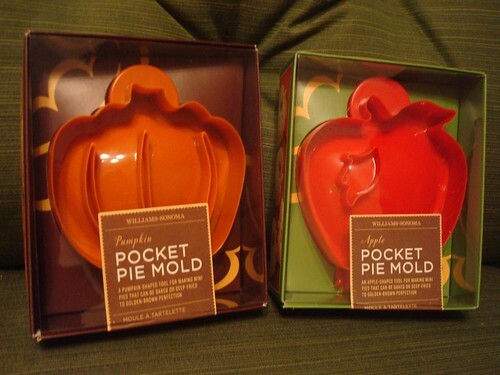 Link up below for a chance to win one of two pocket pie molds. Thanks to you, I actually celebrated this year!! I didn't take pictures (fail) but I made us a Deep Dish Chicago Style Pizza Pie. It had a cornmeal crust that I modified to be made in the bread maker (I'm not a fan of kneading either) and the filling was pasta sauce, goat cheese, sauteed onions & garlic, wilted spinach, salami & mozzarella. For dessert I made us a sugar-free (Splenda) apple-raisin pie with a crumb top. I used this recipe for the pie crust and just made the filling myself. I found the crumb top recipe online and just modified it - super easy though. 1/2 cup flour, 1/4 cup Splenda, 1/4 cup margarine and some Cinnamon. Yum!! Thanks for hosting this. I would like to do something similar on my blog, but I can't figure it out! Maybe one day! I usually don't celebrate Pi Day because our summer pie eating contest is enough work that it puts us off of major pie events for the rest of the year. A favorite at that event is always the blueberry crumb pie, and last year, I made a variation on it, a Peach Blueberry Granola Crumb Pie. It was divine.